Colin O’Brady’s whole life has lead him to world record success. Get ready to be inspired. 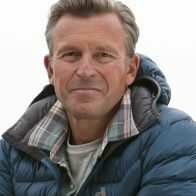 Colin’s most recent achievement – conquering the speed records for the Explorers Grand Slam and Seven Summits, a global mountaineering challenge to climb the tallest mountain on every continent and ski the last degree of latitude to the North and South Poles – is a culmination of years of dedication to elite sport and harnessing his entrepreneurial spirit. Colin’s keynote showcases his personal narrative from lying in a hospital bed being told he may never walk again normally to beating the odds and setting two of the most prestigious world records on the planet. And yet, this talk is more than just an adventure story. In his talk, Colin explores the value of grit and perseverance, reaching beyond perceived limits, and breaking through self-imposed boundaries. Colin’s world record feat took over a year to plan, and numerous setbacks were encountered along the way. Colin discusses how plans are essential, but a willingness to adjust to things outside of your control is crucial for long-term success. Colin dives deeper into business principals by illuminating the benefits of teamwork, leadership, and risk management to ultimately achieve success at 29,029ft on the summit of Mt. Everest, the top of the world. Many people have great ideas, but turning those ideas into action can be very difficult. 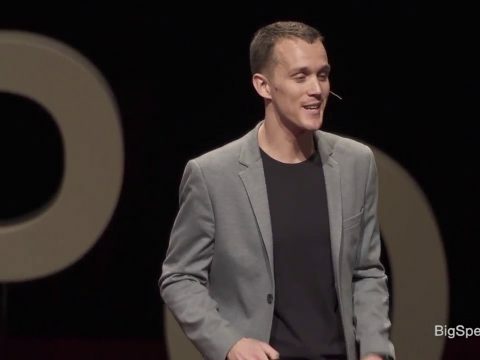 Colin’s talk provides inspiration for not only dreaming big, but also shares a pathway to achieving those dreams through incremental goal setting and tangible steps. Find out what it takes to reach peak performance and how anything is possible if you set your mind to it. Colin O’Brady’s whole life has lead him to world record success. And at no point along the way was he truly by himself on his journey – whether he was walking across the unpredictable frozen tundra of Antarctica or taking his first step to walk after a tragic accident, he always had a team supporting his efforts. Colin knows that in order to succeed, it takes a high performing team that understands how to work together and seamlessly conquer the challenges that are sure to arise along the way. In this talk, you will learn how to build effective teams and strengthen the ones that already exist. 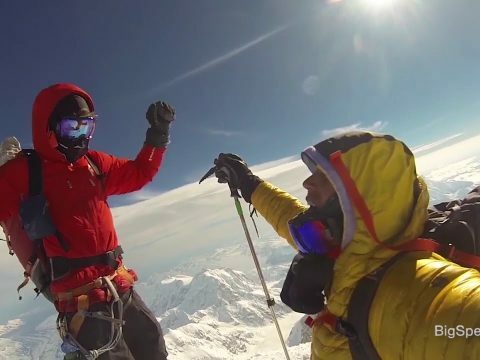 Colin dives deeper into business principles by illuminating the benefits of teamwork, team building, leadership, and risk management to ultimately achieve success at 29,029 ft. on the summit of Mt. Everest, the top of the world. There is a quote Colin continually shares, “He who says he can, and he who says he can’t are both usually right.” In order to build high functioning team, high performing leaders and increase the performance of your workforce, it always starts with mindset. Colin has been on adventures that have taken him around the world to some of the most remote and harsh environments on the planet. But at every step, Colin was confronted with hardships, both internal and external, and it was in the face of that adversity, he found that the impossible was possible. This keynote isn’t about the achievements of Colin, but instead it shows how ordinary people have the capacity to do extraordinary things. 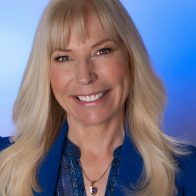 Find out what it takes to be a leader, to overcome self-doubt and close-mindedness to reach peak performance, and how anything is possible if you set your mind to it. 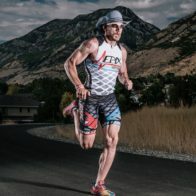 Colin O’Brady is a professional endurance athlete who brings two decades of athleticism, an Ivy-league education, and the life experience of overcoming a devastating accident to prove that anything is possible. Colin’s most recent feat was becoming the first man to cross Antarctica on a solo, unassisted trek, beating out a British Army Captain after a neck and neck race. A two-time world record holder and Yale University graduate, Colin O’Brady has spent the last two decades as an elite endurance athlete. 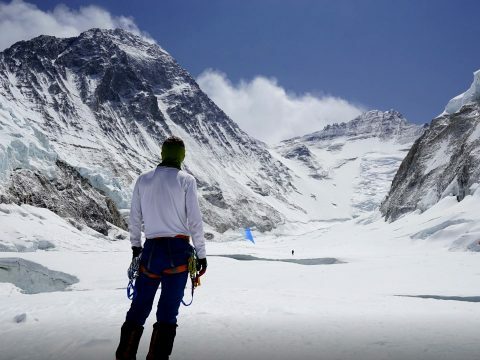 From lying in a hospital bed being told he may never walk again normally to beating the odds and setting two of the most prestigious mountaineering world records on the planet, his motivational journey resonates with a wide range of audiences. Through adventure and entrepreneurship, Colin embodies what it means to overcome obstacles, test limits, dream big, set goals, and never give up. Last year Colin broke two prestigious world records – conquering the speed records for the Explorers Grand Slam and Seven Summits, a global mountaineering challenge to climb the tallest mountain on every continent including Mt. Everest and skiing the last degree of latitude to the North and South Poles – all in 139 days and 131 days respectively. 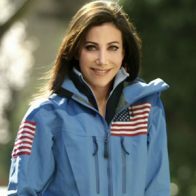 Colin’s world record feat captured the attention of CBS Sunday Morning, The Washington Post, Huffington Post, Men’s Journal, Outside Magazine, People.com, and TODAY among many other national media outlets. And yet, this wasn’t Colin’s hardest challenge to date. In 2008 Colin suffered a tragic accident. He was severely burned in a fire; his injuries covered nearly 25% of his body, primarily damaging his legs and feet. Doctors warned him he might never walk again normally, but Colin was determined to beat the odds. He focused not only on walking again, but set himself a goal: to complete his first triathlon following his recovery. A mere 18-months after his accident while working as a commodities trader, Colin amazed the sporting world when he not only completed his first triathlon, but he placed first overall at the Chicago Triathlon. Colin went on to become a professional triathlete for six years and raced in 25 countries on six continents representing the United States in international triathlon competitions. Knowing first-hand what it takes to overcome a serious setback, and the grit and perseverance required to achieve peak performance, Colin continues to pursue his passion for pushing his limits. His next athletic pursuit is on the horizon, and his commitment to doing good remains. Colin uses his public platform for charitable good. His non-profit Beyond 7/2 aims to inspire kids and their communities to dream big and set goals, while promoting the importance of an active, healthy lifestyle to achieve happiness and success. I’ve been at Google a little over four years, and have watched countless talks by incredible humans. Colin was hands down the best I’ve seen, one of the most moving speakers I’ve witnessed. I can honestly say, Colin was one of the most impactful and inspiring speakers I have worked with. His professionalism and go-with-the-flow attitude made working with him such a delight. His message not only incorporated our CEOs opening remarks but he really took the time to read the New Year’s Message and understand the goals of our event. I am getting chills just thinking about the emotions he invoked in the room during his speech. 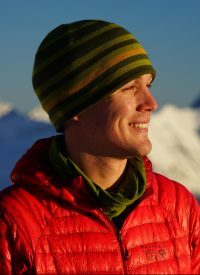 Colin O’Brady is not only the greatest explorer of the 21st century, he’s one of the best examples of the strength of the human body and spirit. We took a survey of all the speakers at our conference and – hands down – Colin’s speech was the favorite by a landslide. The power of his presentation continues to move me and is one that would truly benefit any audience. Your story was both inspiring and motivating; our group was amazed by what you have accomplished at such a young age. In all my years at this company, I have never seen a speaker receive a standing ovation until you spoke to your group. The feedback we have received from our team has been excellent. The Multnomah Athletic Club booked Colin O’Brady to speak at an event for our members. He is a class act. Colin’s talk was charismatic, humorous and inspirational. The club would recommend him as a speaker to any group. Our audience left entertained and inspired by his story and cause. Thank you for taking the time to speak at the Town Club. Your presentation has been the highlight of the season. Your accomplishments speak for themselves but your presentation brought those accomplishments to life and inspired us all. In his riveting, interactive hour-long talk our audience consumed his harrowing life experiences and world record achievements that reveal important reminders for our daily lives. His presentation is packed with illuminating anecdotes, engaging and beautiful media, and elements of surprise – you’ll be inspired and entertained. I can highly recommend Colin as an electrifying public speaker and encourage you to invite him to your event. We took a survey of all the speakers at our conference and—hands down—Colin’s speech was the favorite by a landslide. The power of his presentation continues to move me and is one that would truly benefit any audience. On behalf of the Douglas County School District I would like to thank you. You have an incredible story to tell one of perserverance, resiliency, hard work, planning and love. You touched so many during your visits and I cannot thank you enough. I have had staff, principals and students reach out to me all week with genuine awe for what you have accomplished and gratitude for inspiring our school communities this week. The message you left us with was not for us to want to climb the highest peak, but for us to live life fully by setting seemingly impossible goals and then going for it. Highly recommended for all audiences! Colin is beyond motivational and beyond inspiring. He gave us, a deep dive into our souls for the courage to achieve more at work and home. Colin presented at our National Sales Meeting and he was the talk of the meeting for the entire week. In our survey on a scale of 1-10 (10 most inspiring), people wrote 11 and circled it.